The Funeral Service Education curriculum provides students with the opportunity to become proficient in basic funeral service skills. In addition to the general education courses offered in the curriculum, technical courses such as human anatomy, embalming theory and practice, embalming chemistry, restorative arts, funeral law, and funeral home operations are taught. The Funeral Service Education curriculum provides students with the opportunity to become proficient in basic funeral service skills. In addition to the general education courses offered in the curriculum, technical courses such as human anatomy, embalming theory and practice, embalming chemistry, restorative arts, funeral law, and funeral home operations are taught. Graduates of the curriculum, upon passing the state or national exam and completing an internship in a funeral home, will be qualified for employment as embalmers and/or funeral directors. Professionals sensitive to the responsibility of public health, safety, and welfare in caring for human remains. The funeral service program utilizes human remains as part of the clinical instruction in areas of embalming and restorative art. No infections should be present at the time of death. Weight of the deceased should be no greater than 250 lbs. The deceased should have been refrigerated shortly following the death. Prearranged donations are accepted at any time, but classes should be in session. Contact should be made with the directors in order to accept non-prearranged anatomical donations. The State Board of Funeral Service of North Carolina requires than an individual serve a period of apprenticeship or resident traineeship at a licensed North Carolina funeral establishment (funeral home) before being eligible for licensure. The time to serve an apprenticeship is up to the individual and the funeral home that has allowed the apprenticeship to be served. This period of resident traineeship is a twelve month period if served a a funeral home for a least 2000 hours during the year. Working less than 2000 hours will require an additional year apprenticeship. The period of apprenticeship may be served before funeral service education, after the education has been completed, and in some cases, during the funeral education process. Keep in mind though, that taking more than 11 credit hours of college courses during one’s apprenticeship could cause the state board to require two years of apprenticeship because one is a full-time student if taking 12 or more hours during a semester. During the period of resident traineeship, the resident trainee is to receive training in all aspects of funeral directing, if preparing for a funeral directing license, embalming, if preparing for an embalming license, or aspects of both funeral directing and embalming if preparing for a funeral service license. The resident trainee must submit monthly reports to the Board on documents supplied by the Board of Funeral Service. Note: The apprenticeship is only valid or “good for a period of five years, so one should gain licensure before the five-year period expires, otherwise a new apprenticeship must be served. The State Board of Funeral Service may refuse to issue or renew a license if one has been convicted of a felony. If you have been convicted of a felony, you should contact the Board for a possible appearance so the Board may make a decision granting you a license in North Carolina – 919.733.9380. FTCC is not involved in apprenticeships in North Carolina. This period of apprenticeship is an arrangement between the trainee, the funeral home, and the State Board of Funeral Service. FTCC does not secure funeral establishments for possible apprenticeships. Before licensure as a funeral director or funeral service licensee, you must successfully complete funeral service college, pass your board exams, and complete an apprenticeship at a North Carolina funeral home. If you wish to be licensed only as a funeral director in North Carolina, you must successfully complete all courses in the funeral directing program, and you must be a graduate of the NC Funeral Directing program (or apply for graduation from that program). You may then sit for the funeral directing exam through the Board of Funeral Service. Call the state board in Raleigh for all testing information, including cost, dates, places, etc. Remember, there is no National exam just for funeral directing. An apprenticeship will also have to be completed, but your testing may be completed before, after, or during that apprenticeship. 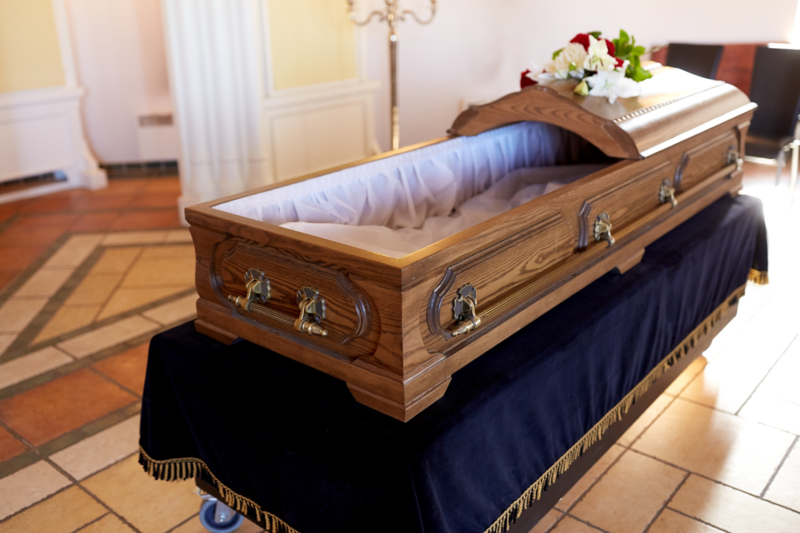 The NC Board of Funeral Service may refuse to issue or renew a license to an individual with a conviction of a felony or a crime involving fraud or moral turpitude. Procure a copy of the funeral service review guide from the International Conference of Funeral Service. You’ll need the funeral service guide because it contains Pathology, a subject in which you will be tested, but you won’t have to study the other science subjects in the text. For the state laws and rules, review all of your materials from FSE 116, Funeral Law and Ethics. You may take sample tests by logging into Blackboard with the username “studentnotes” and using “anubis” as the password. Note: These sample tests are only examples of questions found on the exam and completing them successfully is no guarantee of passing the exam and is not a substitute for knowledge of the subject areas or individual studying. Many students also report that taking the MATS (Mortuary Assessment Tests) helps them dramatically in most areas of the exam. It is best to take the test repeatedly as different questions will arise during each sitting. NC Funeral Directing students are eligible to sit for the North Carolina State Board Examination after graduation or after successful completion of all program courses and applying for graduation. The department chairperson can send documentation to the state board of program completion and graduation application and the Board may allow one to sit for the examination. in North Carolina (includes funeral directing and embalming), you must be a graduate of the funeral service program, which also means that you have successfully taken and passed the National Board exam. You may make arrangements to take one section (Arts or Sciences) of the National Board one day and then take the other section another day. There is no time limit as long as both sections are taken within the six week period following completion of FSE 217. There is a three hour time limit for each section and you will know the results of your exam immediately after you take it. If you want to take both sections the same day, you would take one section in the morning and one section in the afternoon. For info, costs, locations, or other questions about the National Board exam, visit https://theconferenceonline.org. After you have graduated and passed your National Board examination, then you will only need to sit for the NC Laws and Rules for Funeral Service Exam and successfully pass that examination. Call the state board in Raleigh for all Laws and Rules testing information, including cost, dates, places, etc.. 919-733-9380. Your apprenticeship will also have to be completed before you are licensed, but your education may be performed before, during, or after the apprenticeship. You will have completed the FSE 217, Funeral Service Projects class. Save all materials from this class. Procure a copy of the funeral service review guide from the International Conference of Funeral Service. (https://theconferenceonline.org) For the state laws and rules, review all of your materials from FSE 116, Funeral Law and Ethics class, also, students may take sample tests by logging into Blackboard as “studentnotes” and “anubis” as a password. *Sample tests are only examples of questions found on the exam and completing them successfully is no guarantee of passing the exam and is not a substitute for knowledge of the subject areas or individual studying. Many students also report that taking the MATS (Mortuary Assessment Tests) helps them dramatically in most areas of the exam. You will have taken part of the exam as part of your FSE 217 class, but you need to take the exam repeatedly as different questions will arise with each sitting. 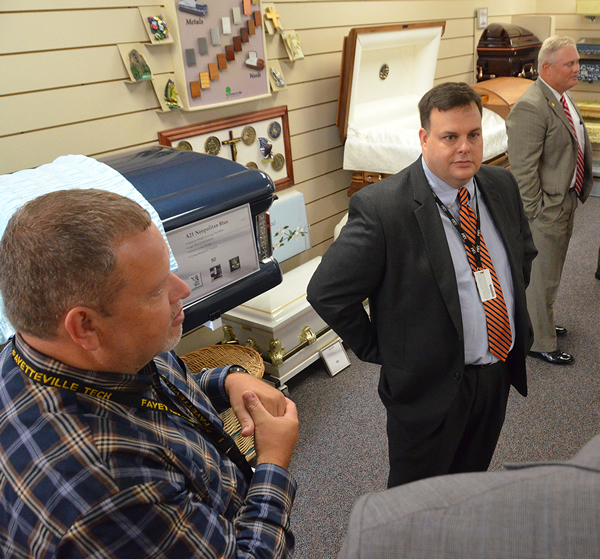 The Funeral Service degree (FSE) and NC Funeral Directing diploma program (FD) have a large number of students that enroll and participate in classes online via the Internet. Also, students often choose to enroll and complete classes at other colleges in order to transfer courses to FTCC. 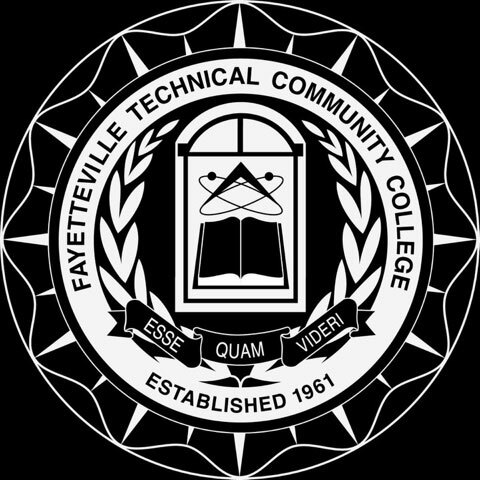 In order to be accepted into the FD and/or FSE programs at FTCC, the application must be submitted and reviewed, all official transcripts from high school and college must be received and reviewed by an admissions counselor, and any required admissions testing must have been taken and reviewed by the counselor. If taking courses at another college that do not being with an “FSE” prefix (i.e. ACC, BUS, CIS, MAT, PSY, SOC) official transcripts should be sent to the FTCC admissions department following the receive of a grade in that class. Students enrolled in the FD and/or FSE programs should contact their academic advisor every semester for advising or registration. If a course or courses have been taken at another college and the transcript has been received by FTCC, the academic advisor should be made aware of this information so that a course substitution may be generated. Students should check their WebAdvisor accounts to find their advisor’s contact information. The grade received (must be a “C” or higher on a 7 point scale or “B” or higher on a 10 point scale). This includes all FSE courses, PSY 141, BUS 115, and ACC 111 or ACC 120. At FTCC you can earn a degree or diploma in Funeral Service Education. Contact an Admissions Counselor for assistance or Apply Now!